Reef Tiger timepieces are made from top quality materials. Before one of our masterpieces leaves the factory, it is put through its paces by one of our specialists in a complex testing procedure. If treated with care, looked after correctly and regularly maintained, your Reef Tiger will prove to be a life-long companion to you. You'll get the most joy out of your Reef Tiger when you have it on your wrist. Should you ever take it off, however, then it should preferably be kept in a dry, not too warm place. Want to give your Reef Tiger a proper clean? Then remove dirt and fingerprints using a soft cloth or a soft brush and possibly a little soap. Please contact the specialists in one of our more than 100 service centres worldwide if you would like your watch's case, bezel or strap to be polished. Our experts are there to maintain the complex Reef Tiger movement. 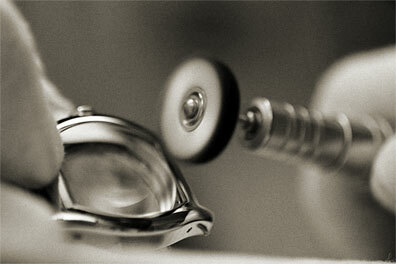 The delicate inner workings of the watch are painstakingly and professionally checked and, where necessary, replaced. Regular maintenance ensures the precision and longevity of any mechanical movement - your Reef Tiger dealer will be pleased to advise you.